This is what you need if you suffer from shaving rash, shaving bumps, redness and irritation after shaving. Pro Victis (The Peacemaker) Skin Repair After Shave Cream will heal, soothe and moisturise skin that has been damaged by shaving. 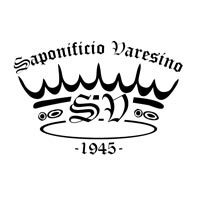 Saponificio Varesino was established in Italy in 1945, they are one of the leading makers of shaving soaps and shaving accessories in the world. Pro Victis is packed with anti-bacterial and anti-inflamatory ingredients which include Vitamin E, aloe vera and shea butter. 100% natural, made in Italy. Comes in an aluminium recyclable screw top tin. The tin can store more than 50ml, don't think you have been shortchanged, Alessandro one of the brothers who runs Saponificio Varesino tells me they overfill by a factor of 10% to allow for possible evaporation. Rub a small amount directly onto red, dry, irritated shaved skin. Only apply to the affected area unless you have very deep pockets in which case, apply to the entire shaved area. Coming from Saponificio Varesino you know this product will work. No matter how good your shaving technique is, no matter how rich your shaving lather is and no matter how sharp your blade is, now and again you may get annoying post shave shaving rash, redness and itching. Apply this high grade skin repair cream to the affected area a few times and your skin problem will soon become a distant memory. Packed full of natural moisturisers and skin soothers.